Welcome back to our series on art history! From the lands of Africa, we now venture onward to experience art from the Neoclassical era and Romantic period. Let’s see how history significantly affected the art of this time. During the 18th century, a new movement swept through Europe and created a radical change in politics, science, and art. The Age of Enlightenment was partially a reaction to the Industrial Revolution, as the world witnessed the importance of technological innovation for the advancement of humankind. This age of reason and enlightened thinking dominated Europe, inevitably birthing two important eras in philosophy and visual art. Neoclassicism and Romanticism competed side by side, bringing creatives together to express emotion as well as a love for the classics. 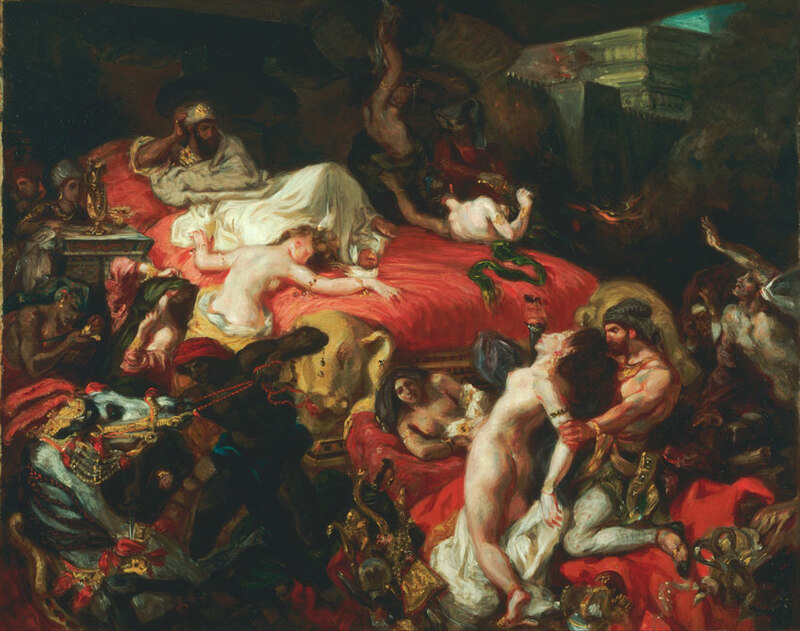 While Neoclassical art was more rooted in paying homage to classical Greco-Roman art, the Romantic era placed the emphasis on encapsulating emotions like fear and horror in visual form. Even today, both periods have influenced many contemporary artists for their exceptional beauty, exquisite details, and elaborate drama. So let’s check out a few notable artists and innovators from this time. Often considered the direct opposite of the Romantic era, Neoclassical art had a huge hold on Europe for many years. At the root of its philosophy, Neoclassicism revived the “true style” of classical art the world had come to know from Ancient Greece and Rome. 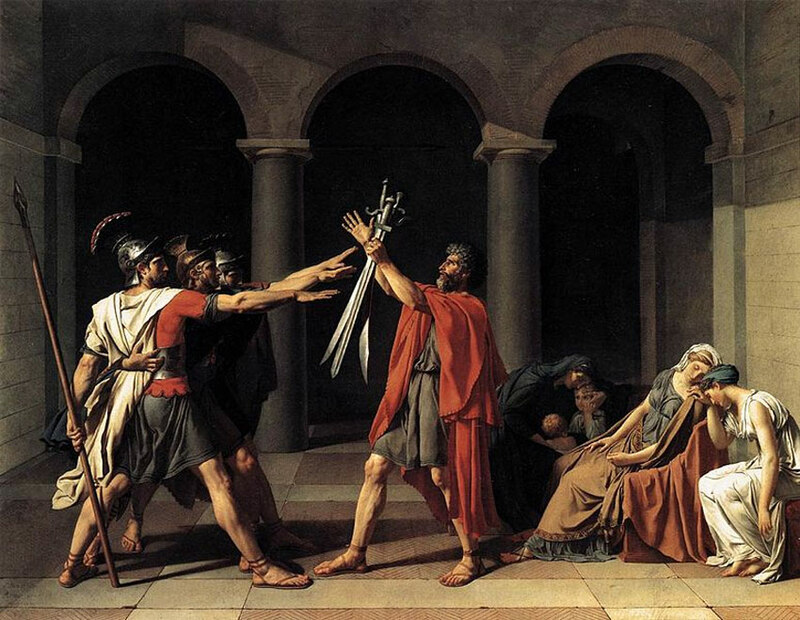 Painters like Jacques-Louis David made this style famous through the symbolic painting of the Oath of the Horatii. It depicted a Roman legend of two warring cities and stressed the importance of sacrifice for one’s country. 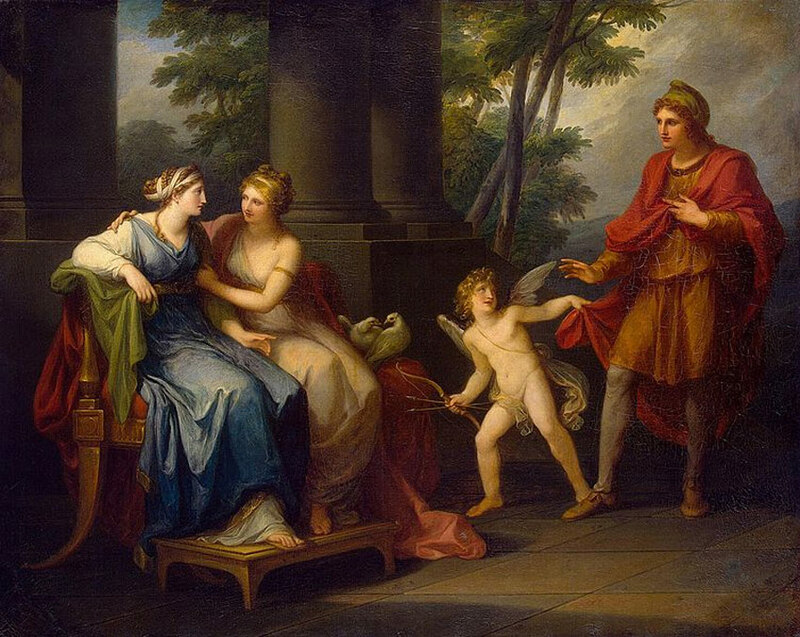 The main characteristics of Neoclassical paintings were de-emphasized backgrounds, organizing the composition around symbolic numbers, and telling idealistic stories of moral triumph and civic duty. 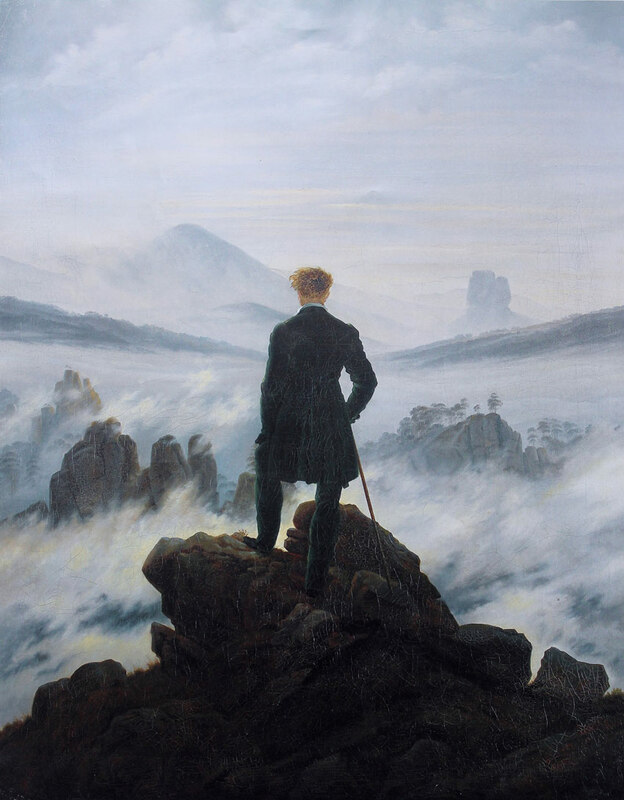 German painter Caspar David Friedrich once said, “The artists’ feeling is his law.” And it was in early landscape paintings like his that the Romantic era began. You see, Romantics believed in expressing the brutalities of human emotion through art. 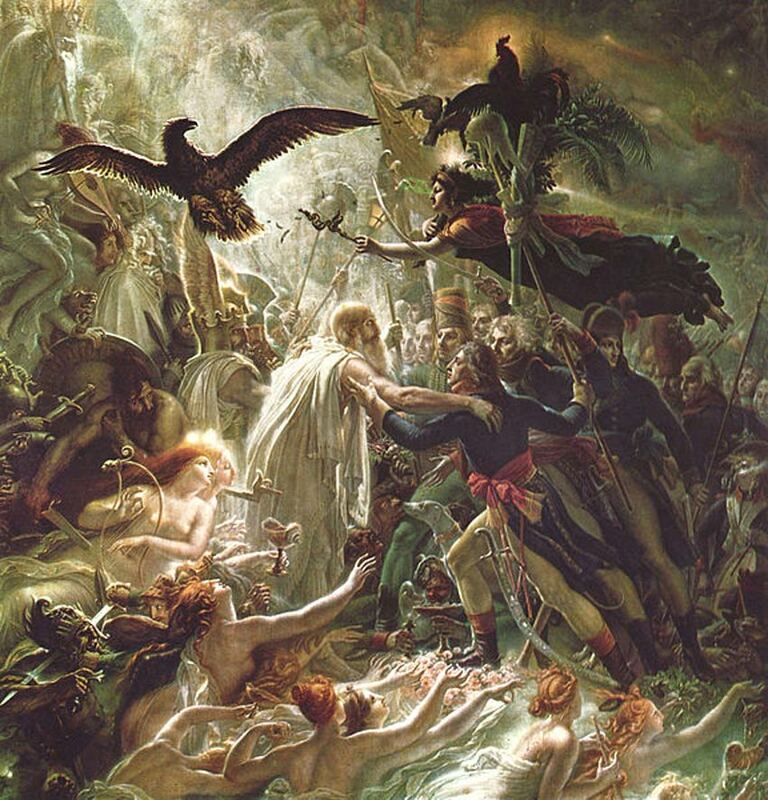 Powerful compositions erupted during this time, with artists often painting mythical, landscape, or historical scenes focused around a particular message. 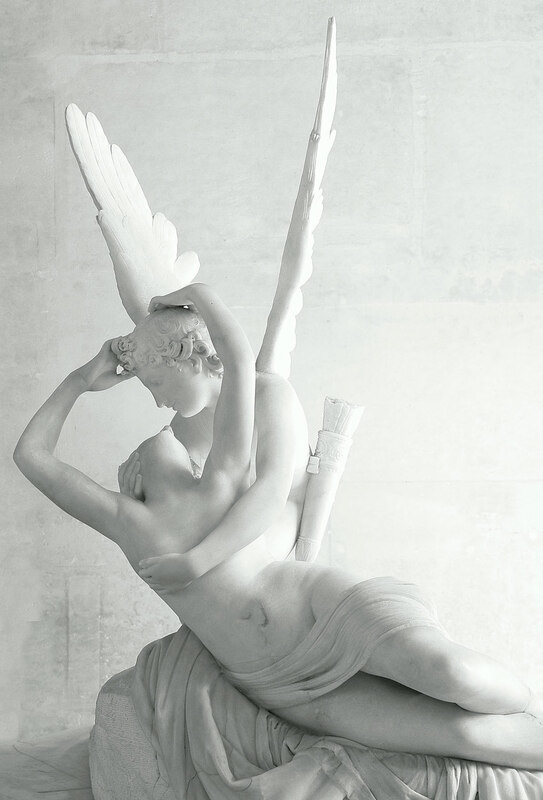 Romantics rejected the rational ways of Neoclassical artists, and upheld their love of individual expression over the restraints of traditional customs. Most of what we see in sculpture during this time lends itself to the Neoclassical side of art. The rigidity of marble meant that expressive and expansive gestures were far too limiting for Romantic artists. Even with very few examples of Greek sculpture still available at this time, sculptors reveled in the classic beauty of an art form they believed to be superior to its Roman counterpart. Successful excavations meant that more people were collecting antique sculptures, not only for museums but also for their own private collections. At the core of Neoclassical sculpture was this massive belief in a sense of decorum. Idealized faces adorned the bodies of classical heroes dressed in their preferred uniforms. Gestures and emotions were always restrained to place more focus on the idea of “calm grandeur,” beautiful forms, and spiritual nobility. We can see evidence of this in work from Jean-Pierre Cortot, who created Le Triomphe de 1810. 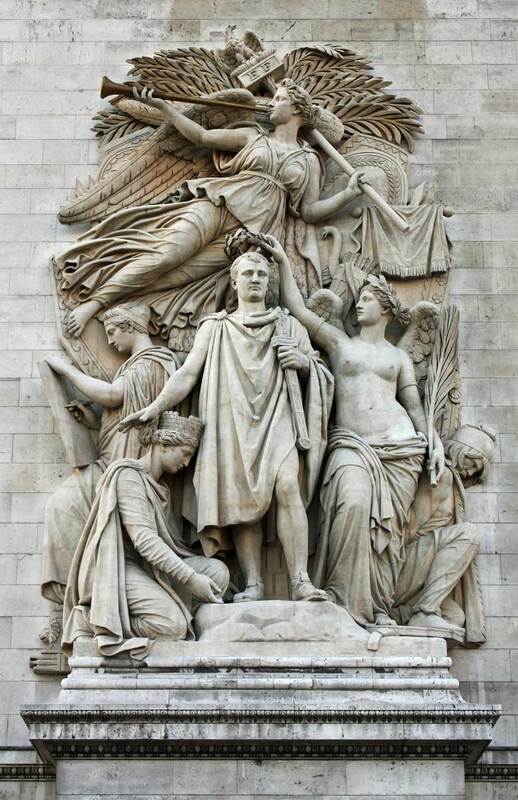 This bas-relief sculpture resides on the famous Arc de Triomphe de l’Étoilein Paris, featuring Napoleon being crowned by the goddess of Victory. Neoclassical art also saw a wave of interest in the area of decorative arts and pottery. 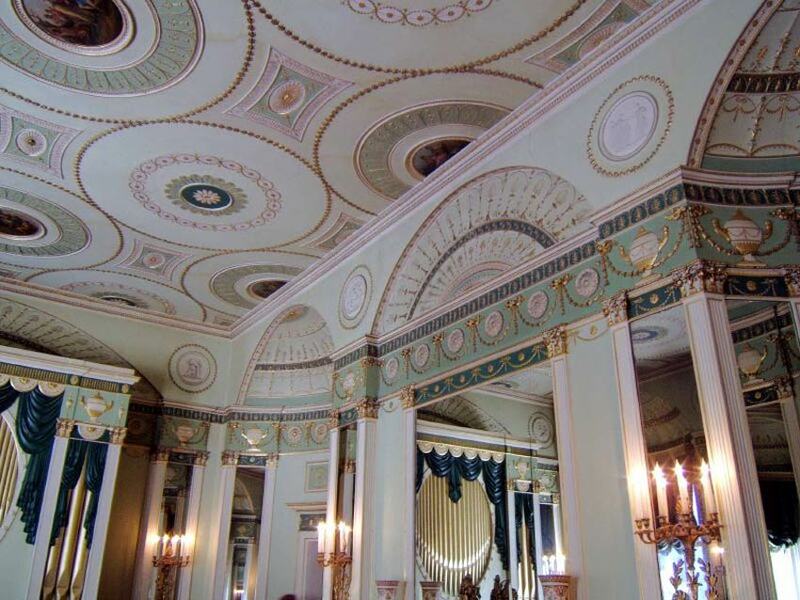 Deemed the Greek Revival, many Greek-inspired etchings and engravings appeared on the walls of famous buildings and homes. Large columns reminiscent of ancient Greek architecture also became prevalent during this time. And with the discovery that Greeks painted the inside of their temples, many of Europe’s elite drew on this notion for creative inspiration. This sense of Greek-inspired grandeur also spilled over into the pottery. 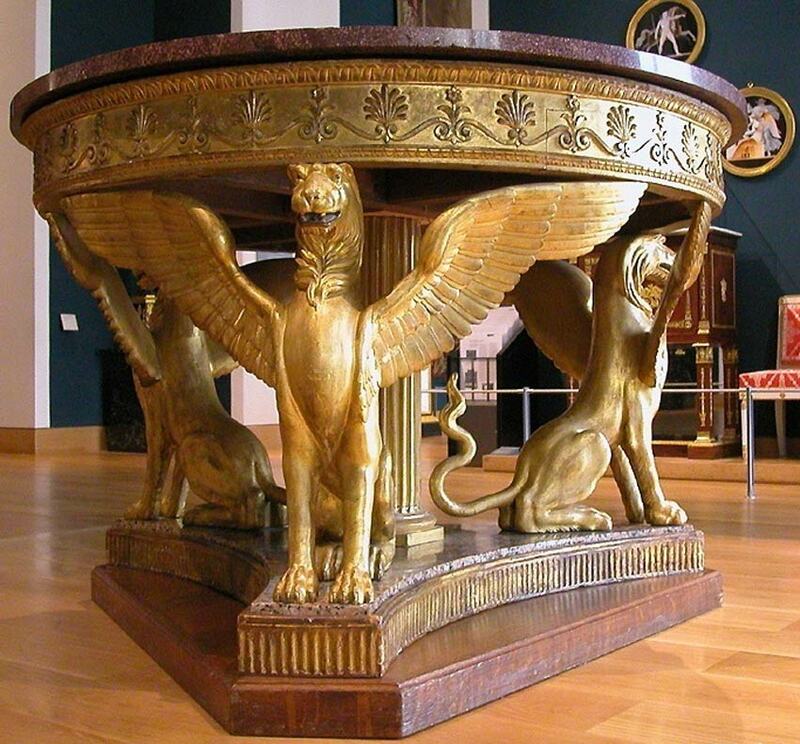 Napoleon’s reign saw an influx of over-the-top ceramics and decor. 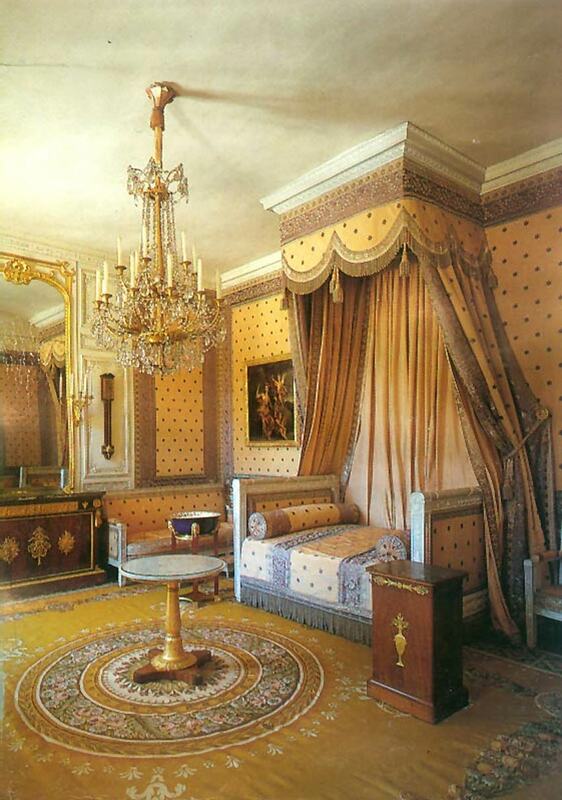 Gorgeous gold vases matched the Empire Style interiors to reflect the opulence of the privileged few. Though different in style, the eras of Neoclassical and Romantic art both became embedded in Europe’s history. Their wide range of culture and influence is a true testament to the evolution of art. And I hope you continue to learn more about these amazing timelines on your own. For more incredible tales of Neoclassical or Romantic art history, dive into the links below for further reading. And join me next month when we discuss Impressionism.